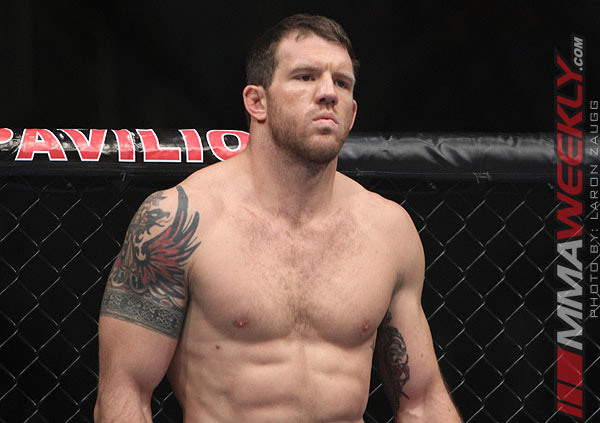 It’s hard to remember just over a year ago when former Ultimate Fighter winner Ryan Bader was collapsing under the weight of two losses in a row in the UFC. Following a submission loss to Jon Jones in early 2011, Bader looked to bounce back with what most assumed would be an automatic victory over future UFC Hall of Famer Tito Ortiz. Things didn’t go so well for Bader that night, however. He suffered his second straight submission defeat and it was back to the drawing board. A change in philosophy in training as well as a new gym and head coach brought Bader back from the brink. Following a quick knockout of Jason Brilz, he then put on a dominant performance over former light heavyweight champion Quinton “Rampage” Jackson. After two losses in a row, a lot of fighters would want to build themselves back up again, taking it slow and easy and then jumping back into the deep end of the divisional pool following some confidence gaining wins. Bader wanted none of that. The former Arizona State All-American wrestler wanted to face nothing but top competition. So after beating Jackson in February, he was more than happy when the call came in for a fight against Lyoto Machida at UFC on Fox 4. “Why go backwards? I beat a guy who just fought for the title, then stepping up and fighting arguably a top three guy that just recently fought for the 205-pound belt. I’m knocking off these guys, I’m right there for a title shot. Those guys just fought for it,” Bader told MMAWeekly Radio. It’s not been an easy road for Bader, who over the last few years has bounced from a previous camp to opening his own gym along with close friends Aaron Simpson and C.B. Dollaway to finally hiring a head coach to steer the ship. Now with the course set and true direction at the helm, Bader, along with his teammates, feel like they are finally on the path to true success. “I feel like we’re in the right place. We have the right blueprint now. We know what we’ve got to do. All the guesswork’s out. We know what it takes,” said Bader. When Bader and his friends were running the gym on their own, they had plenty of MMA know-how, and lots of experience in high-level competitions. The sparring sessions and training was always intense and they never lacked passion when it came to the workouts. The problem was they were mostly just going through the motions, working out hard, and going through drills to get ready for fights. Now with head coach Tom Vaughn leading the way, Bader is working on specifics to face a fighter like his upcoming opponent Lyoto Machida, instead of just training hard and hoping for the best possible outcome. “Going with Machida in the past I would have just been sparring with whoever, and my game plan would be like maybe take him down or something like that,” Bader revealed. Lyoto Machida is still a puzzle to figure out by most standards in the UFC light heavyweight division. A former champion, Machida’s karate style confused many when he first entered the Octagon and while the Brazilian has suffered a few defeats since that time, his elusiveness, footwork and speed still remain a constant thorn in the side of opponents. Machida is still looked upon as one of the top light heavyweights in the sport, which is why he’s coming in as a heavy favorite over Bader by most oddsmakers. 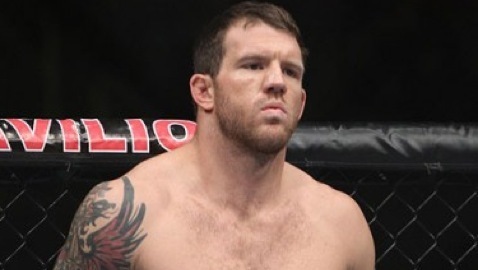 Consider Ryan Bader one of the people most pleased by seeing those prognostications. “I absolutely love it, coming in here and people doubting me and not expecting me to do much, or not expecting me to win. I love to go in there and show I’m evolved in every fight, surprise people and at the end of the fight have people go, ‘Wow, I did not think that was going to happen at all. I really underestimated him,'” said Bader. Bader hopes to prove everybody wrong and beat Lyoto Machida at UFC on Fox 4 next Saturday night, and then possibly stake his claim as the No. 1 contender in the light heavyweight division.